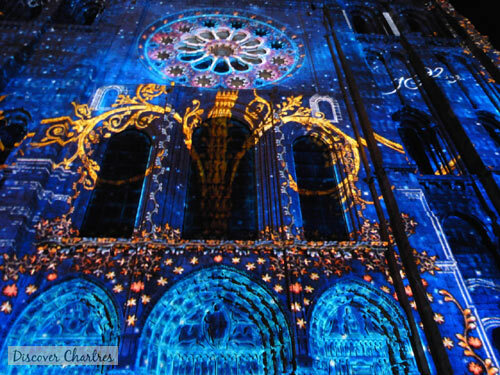 Long summer vacation has arrived and it's time to have a look what things to do in Chartres in July. Some people leave Chartres for vacation while others prefer to spend their summer holidays around the city. Some people go, some people stay and some people come. Do you know Chartres beach? Yep, I am serious! 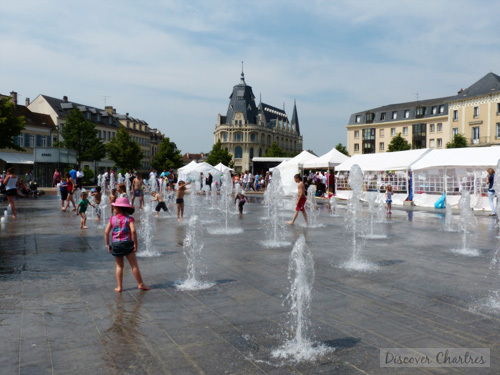 When the sun shines, you will see the crowds hang out in Place des Epars to play with water fountain... just like in a beach. You will probably remember of Paris beach along the Seine river! Other top things to do this month include summer evening events, free concert and fireworks on Bastille day, international organ festival and lots more. What's NEW! this year: the light show will last longer from on April 12 through October 12, which means two week extra time! New animations onto 23 museums and historic sites, you should not miss this! Earth Wind and Fire Experience feat. Al Mackay concert and of course fireworks... and it's free! Tips: Free shutlle buses (navettes) are on your service, from the city center to Chartres Hippodrome round trip. 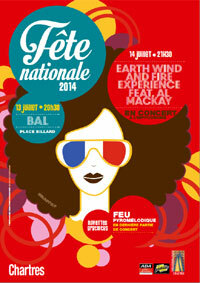 The longest list on Chartres Event July - 23rd Edition of Summer Evening Festival, starts showing from 9pm. 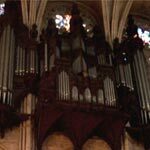 Please be sure to check out and confirm Chartres Events July 2012 before heading out to avoid any disappointment because of schedule changes or cancellation!